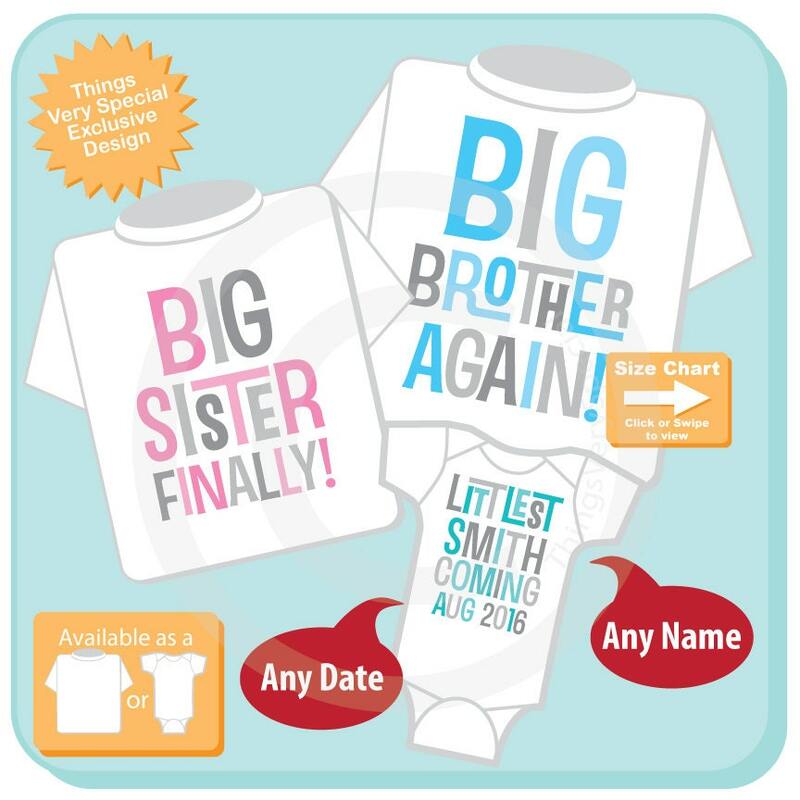 Super cute set of three shirts and or Onesies are Big Brother Again tee shirt in blue and grey lettering, Big Sister Finally Tee Shirt in Pink and grey lettering and Littlest Onesie or Tee Shirt with teal and grey lettering with last name of family and due month and year. If you need a different combination please contact me. 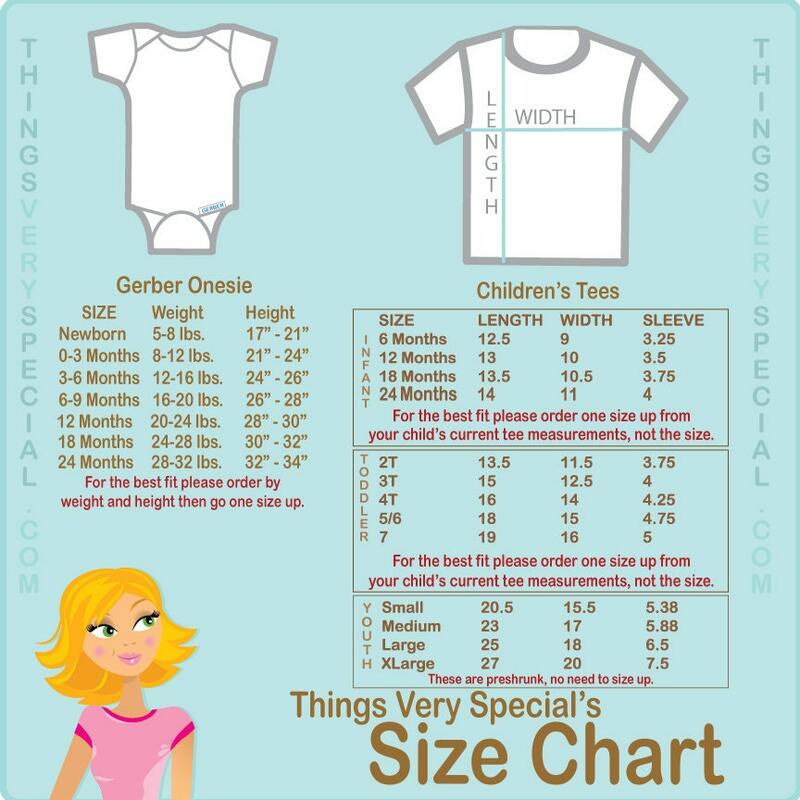 For the Littlest Item please let me know the family last name and the due month and year of the new baby. Beautiful items and just as ordered. Only funny thing is that I followed all the measuring instructions and advise and they are a bit too big. I forgot that my two are rather scrawny so they probably didn't need as much room to grow. Still look adorable, thank you.